When most people think of aircraft flyovers at sporting events, they think of swift jets. It’s the Blue Angels, maybe, or some other fighter squadron providing the thunder. Not at the Patriots-Ravens game this weekend, though. The honors at Gillette Stadium in Massachusetts were carried out by a lumbering C-5B Galaxy from the 439th Airlift Wing out of Westover Air Reserve Base, Mass. — and it made all the sense in the world for the hometown team. For years, the unit has referred to itself as the Patriot Wing, even using the New England Patriots logo on the tail of its aircraft. 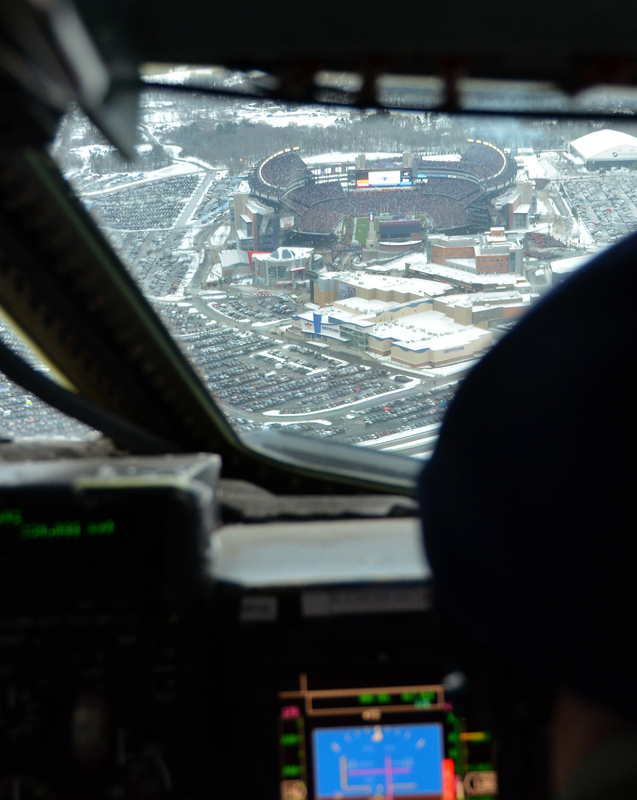 Crew members sounded ecstatic with how the flyover turned out in local media reports today. The decision to include the Patriot Wing was made last minute, and its members jumped at the chance, according to CBS-3 out of Springfield, Mass. I grew up near Westover in Chicopee, Mass., and I can attest that there was a lot of regional pride that went with watching “our” aircraft make an appearance during the Pats game. We’re all familiar with the lumbering thunder the Galaxy can muster.